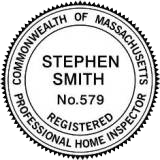 Thank you for visiting Top Notch Home Inspections’ home inspection quote page. If you are looking for a quote on a home you are purchasing or for a home you are selling please answer all the questions in the inspection quote tabs below then simply submit the inspection quote by click the completed inspection quote form tab at the bottom of the page. We respond quickly to all inspection quote request and will send you a price along with a detailed description of the inspection process. You can also reach us by Calling or Texting 508-333-6103. *When do you need the inspection? *Is there an In-law apartment? *Is There a Basement/Crawl Space or Slab?